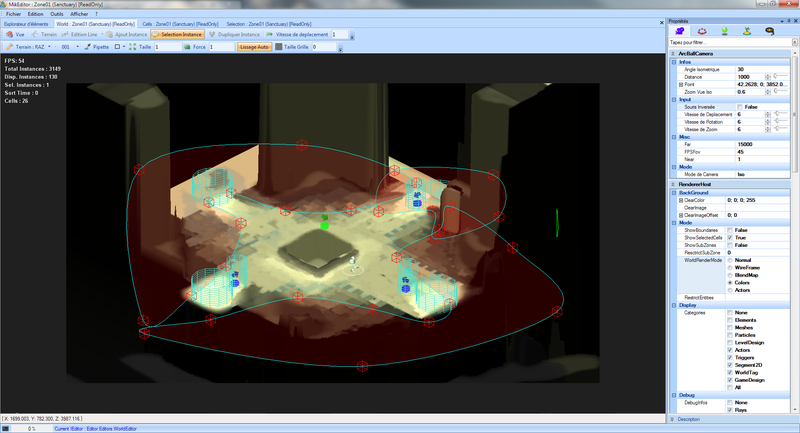 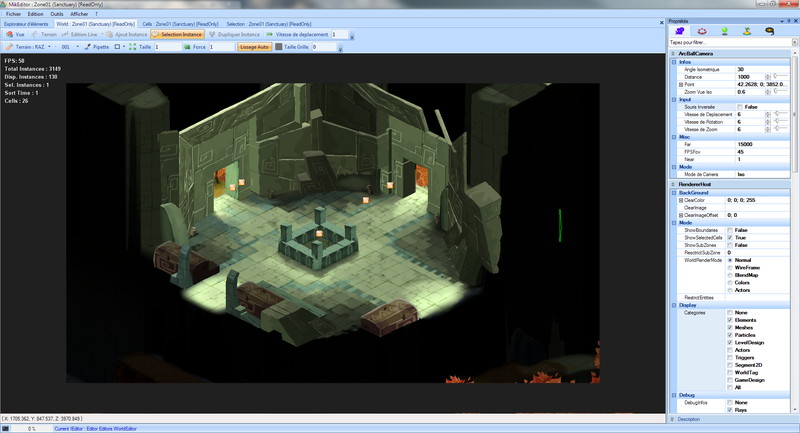 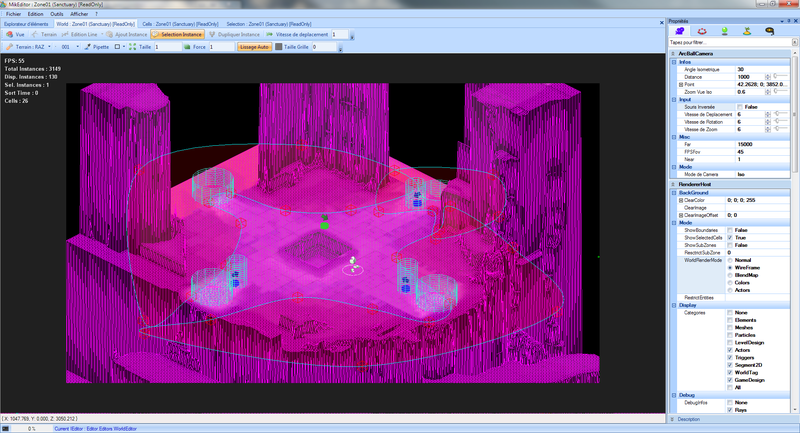 There is a 7min video where you can see some of the tools created for the game : view it here. 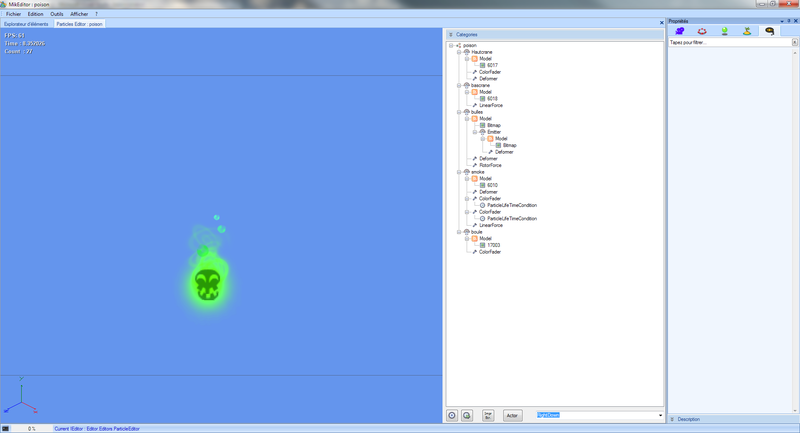 An entity is a model of anything in the world (actors, triggers, primitives, particles emitters, or just 2D sprite). 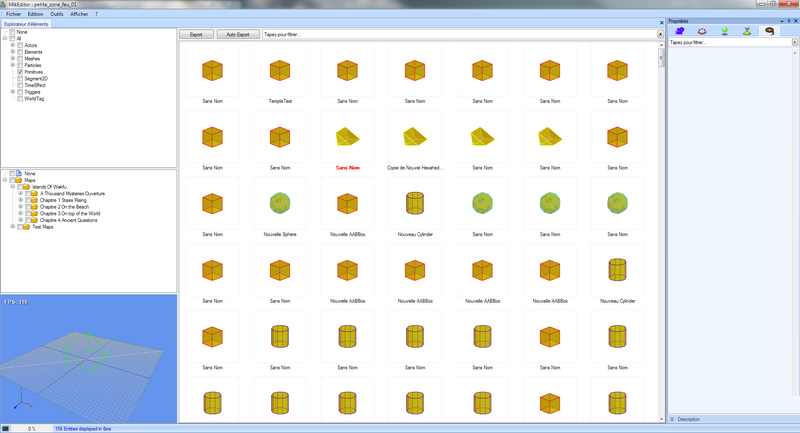 They are all saved into a SQL Server Database, with their parameters and their thumbnails (loading takes nearly 6s for 12k entities). 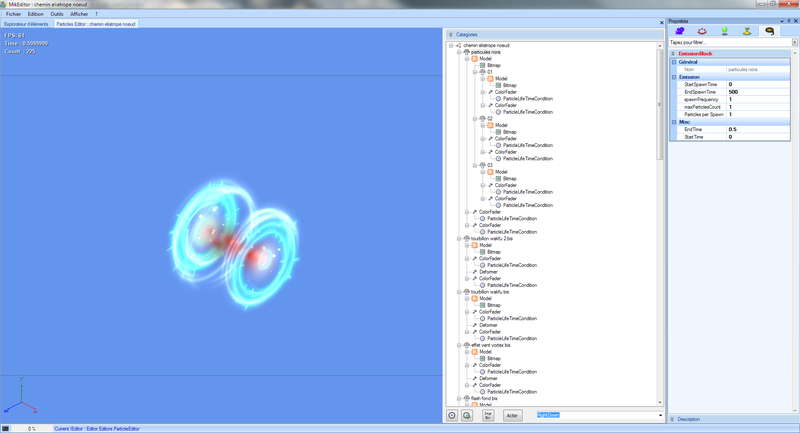 Here are differents Entity Editors, like particle system editor, Actor editor, or the more basic Element or Primitives editor. Everything is generally managed through a treeview displaying a hierarchy of entities, offering then access to a PropertyGrid where you can setup every parameters. While this system is probably not the best example in terms of ergonomy, it’s coherent, as every parameters is managed here, and it’s flexible enough to allow almost every person in the team to add or remove parameters. 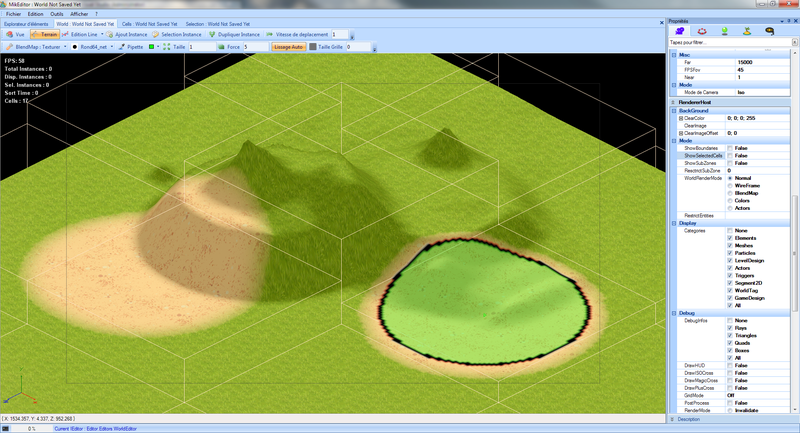 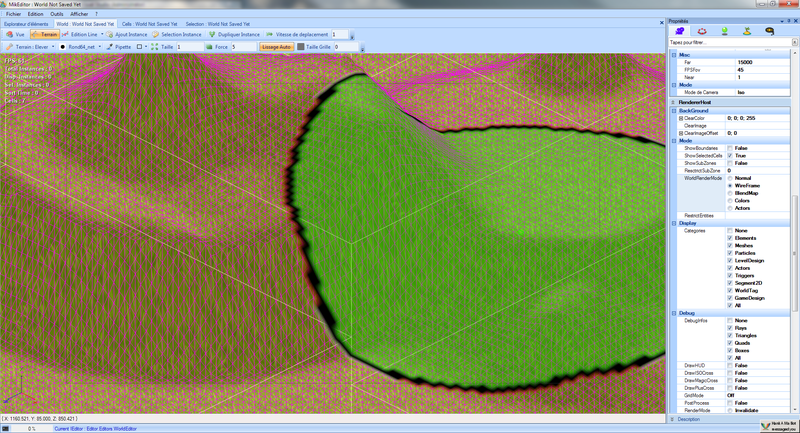 Now you have a view on the HeightMap Editor, or, more precisely, a full world editor. 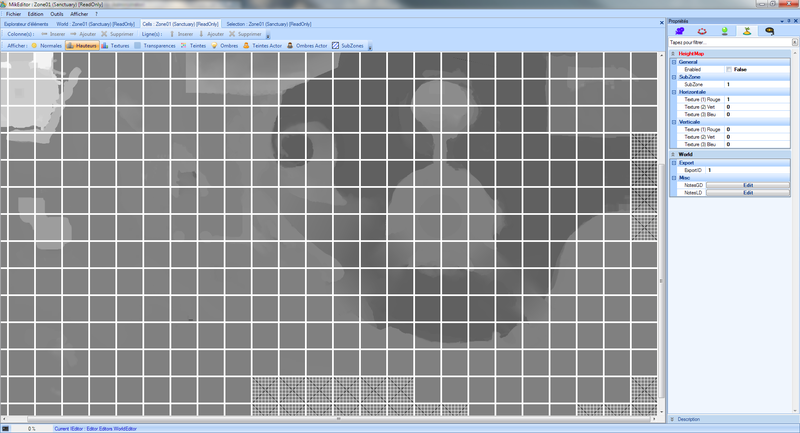 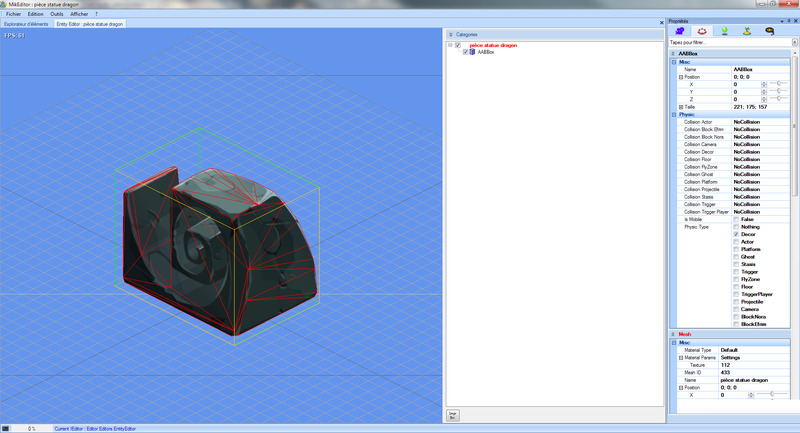 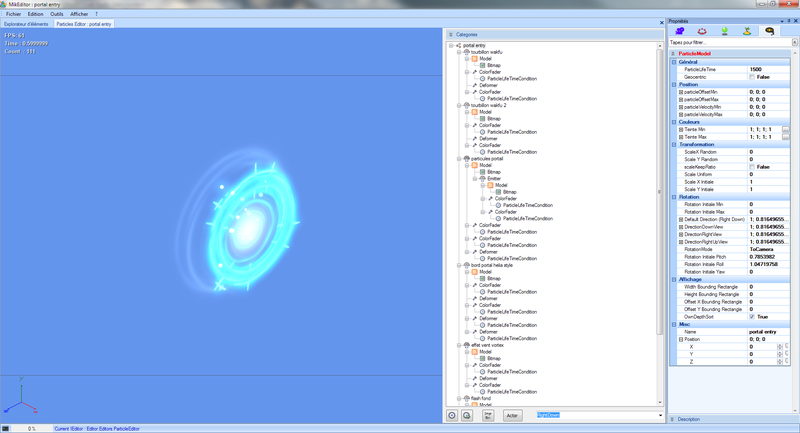 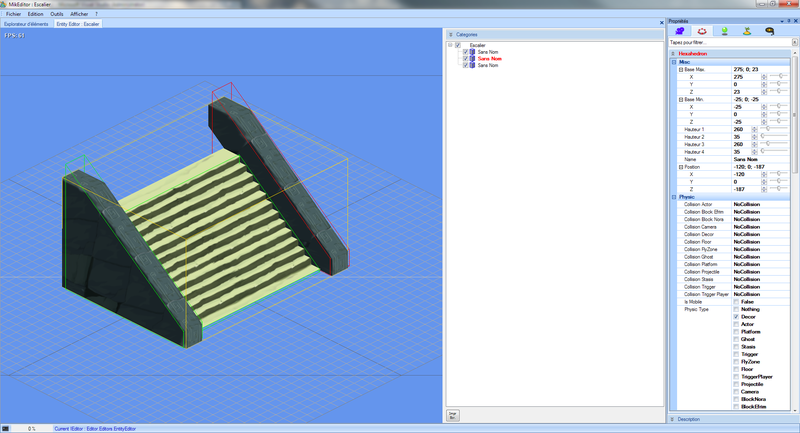 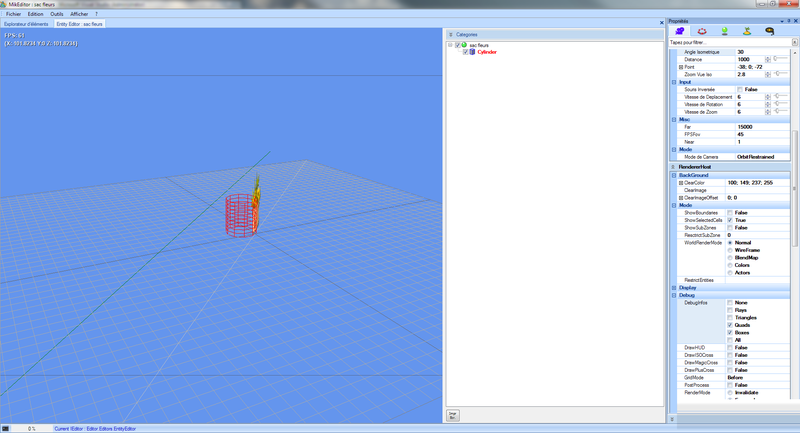 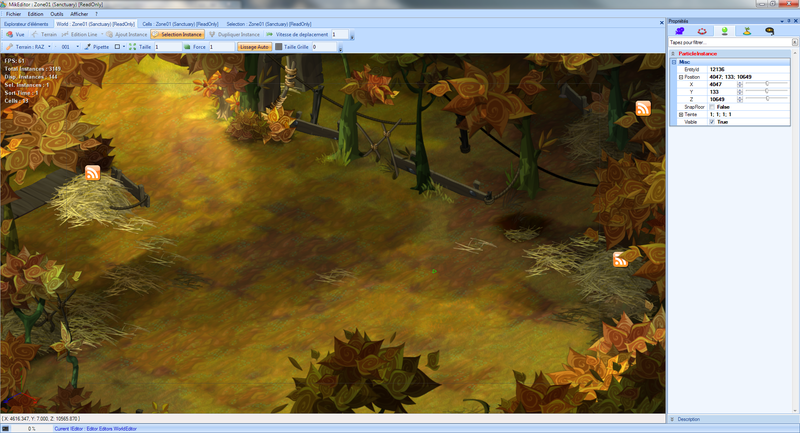 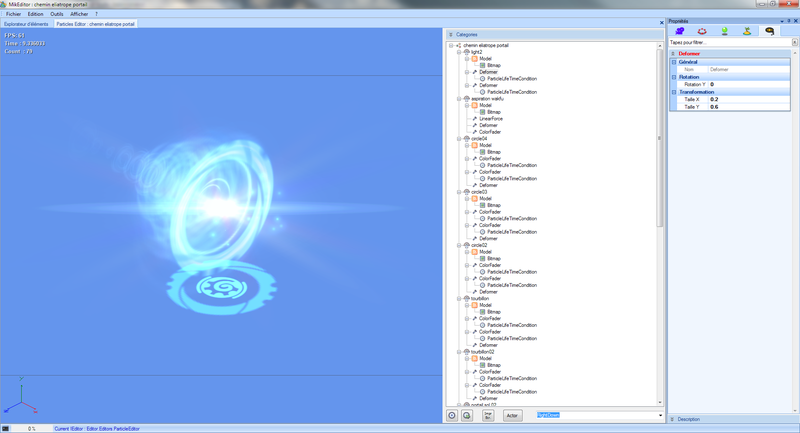 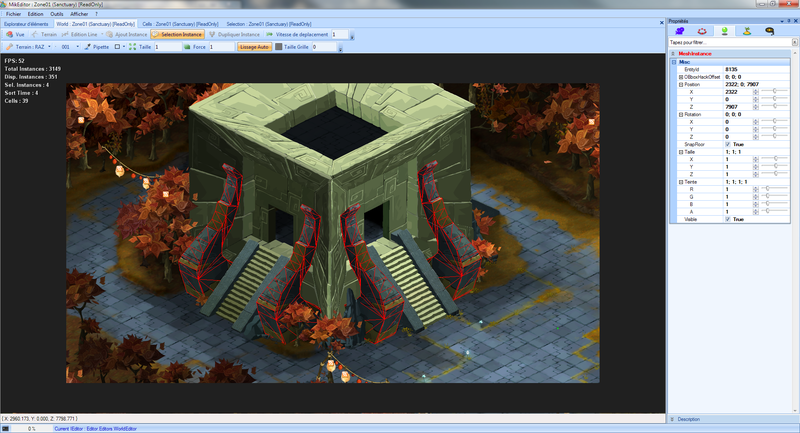 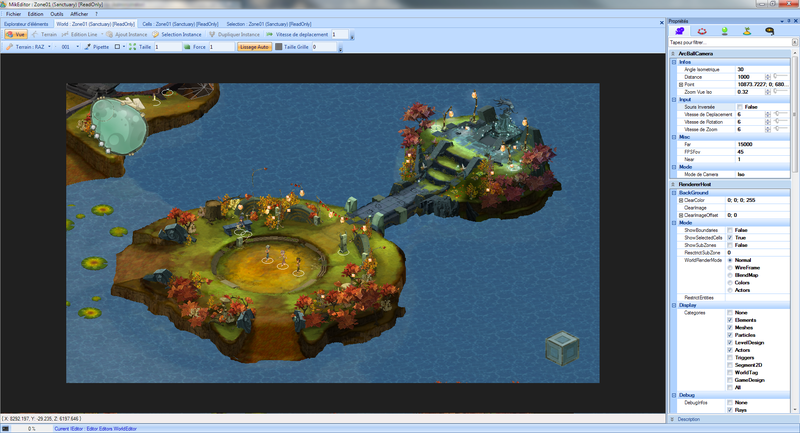 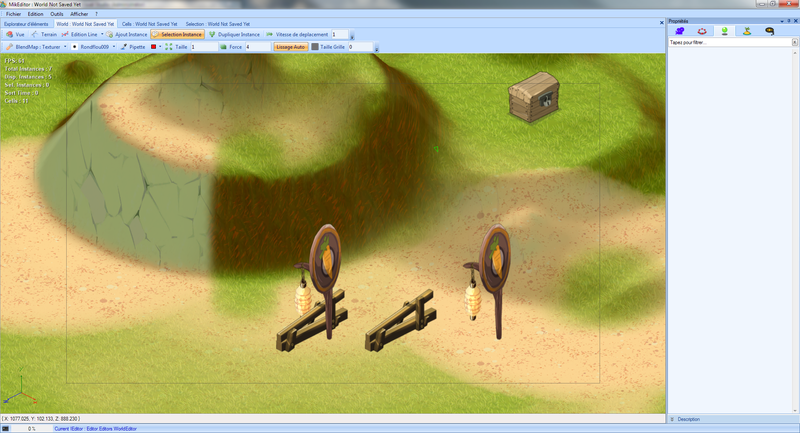 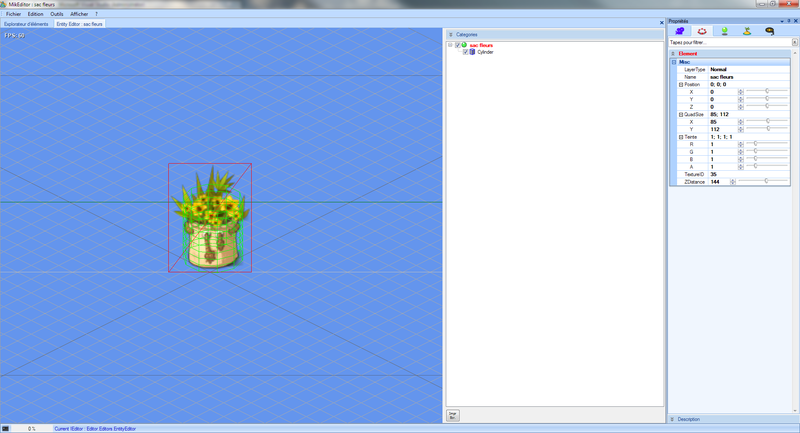 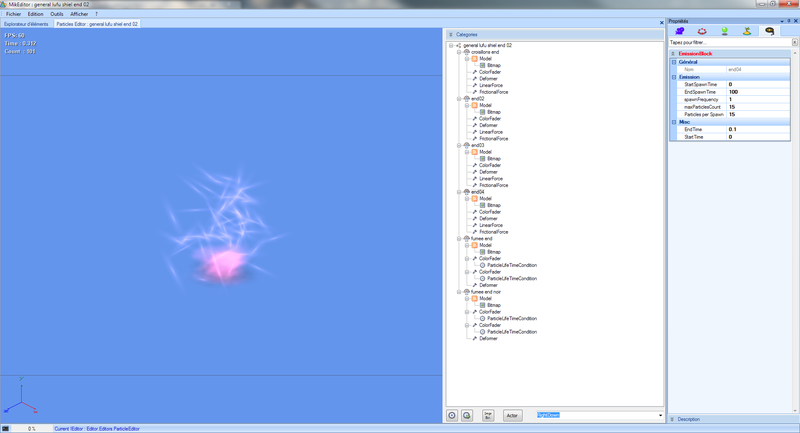 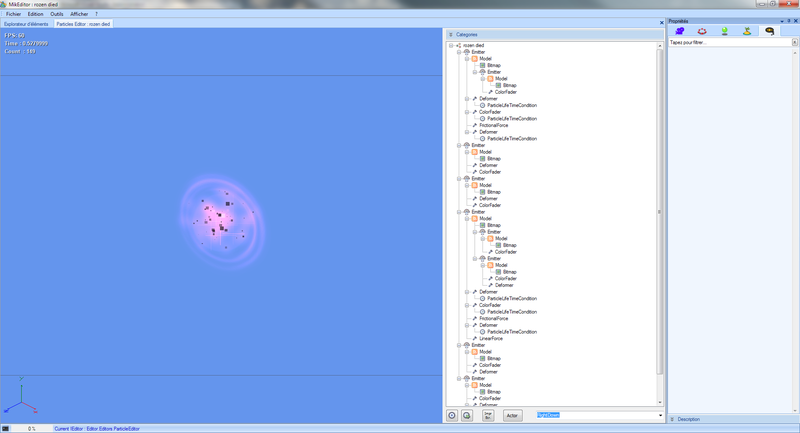 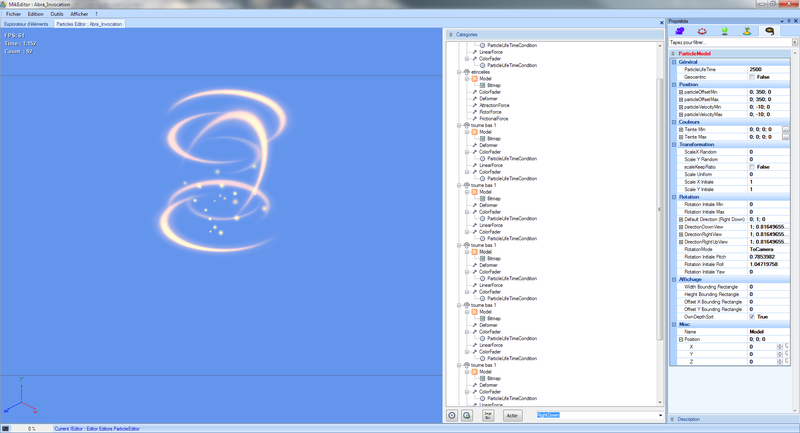 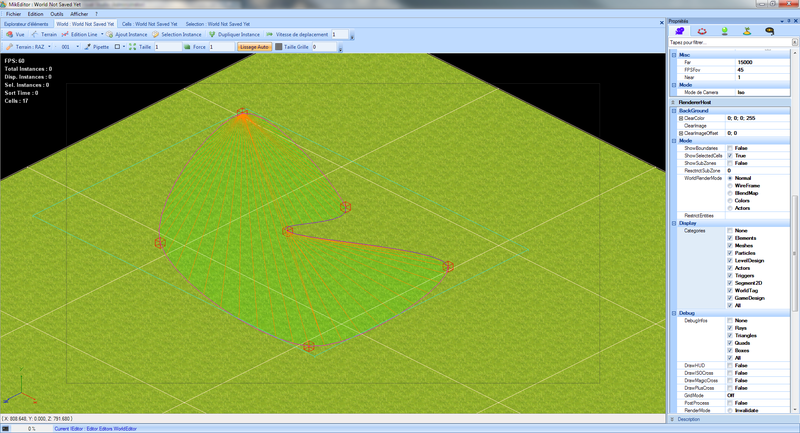 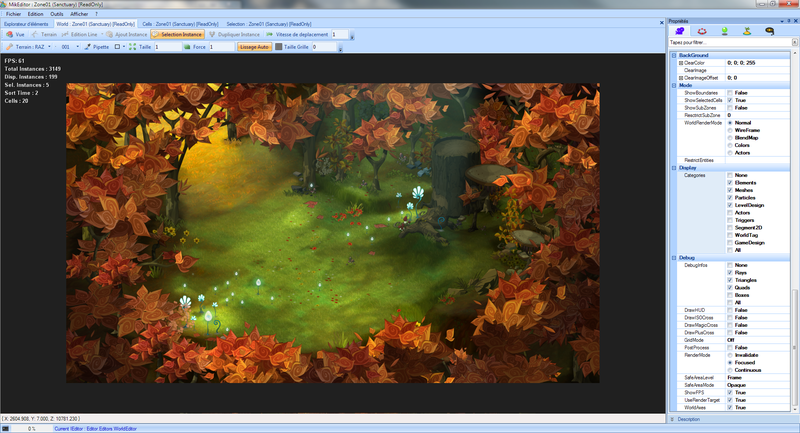 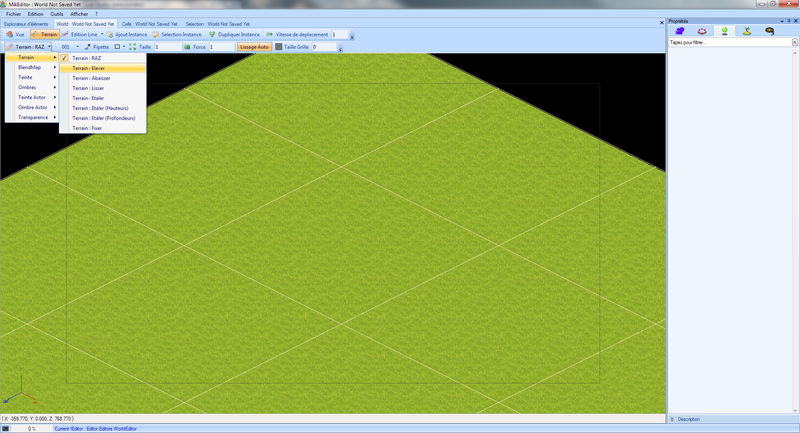 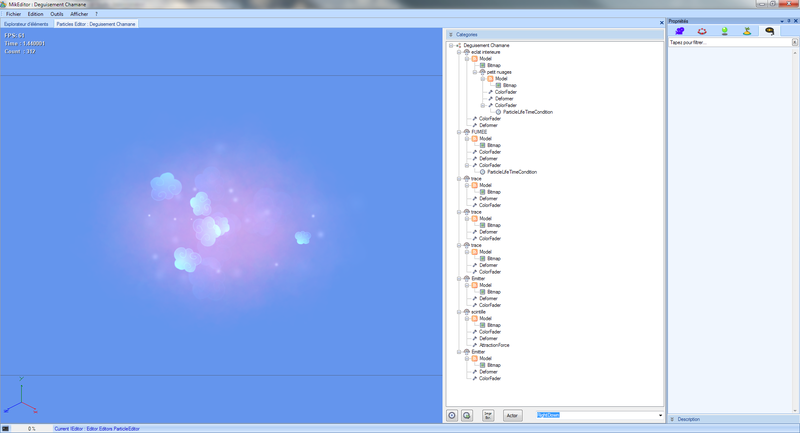 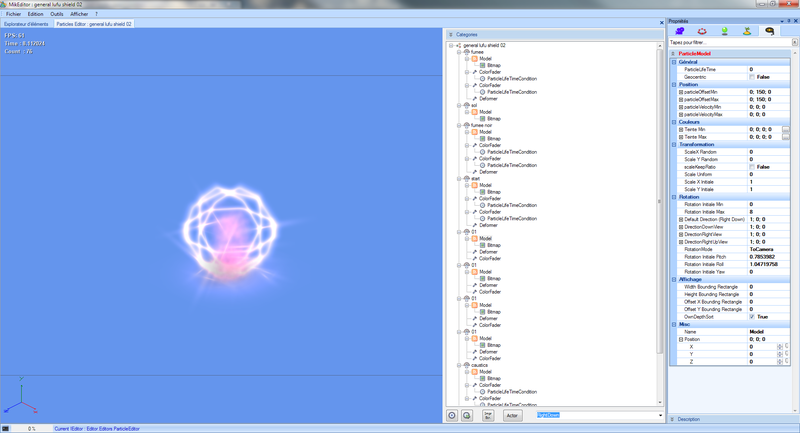 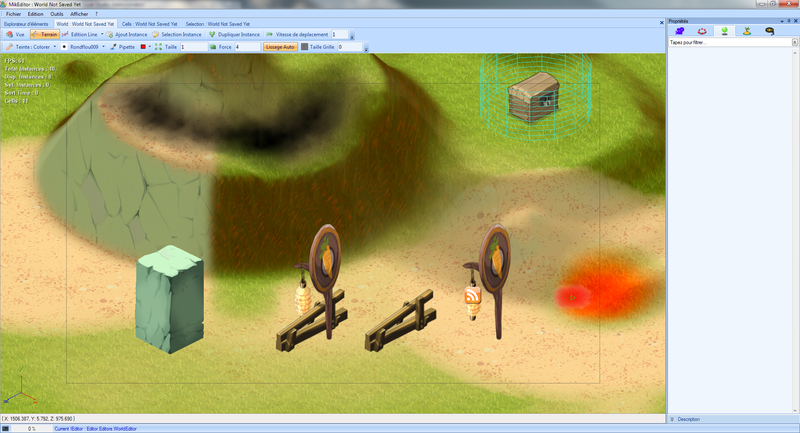 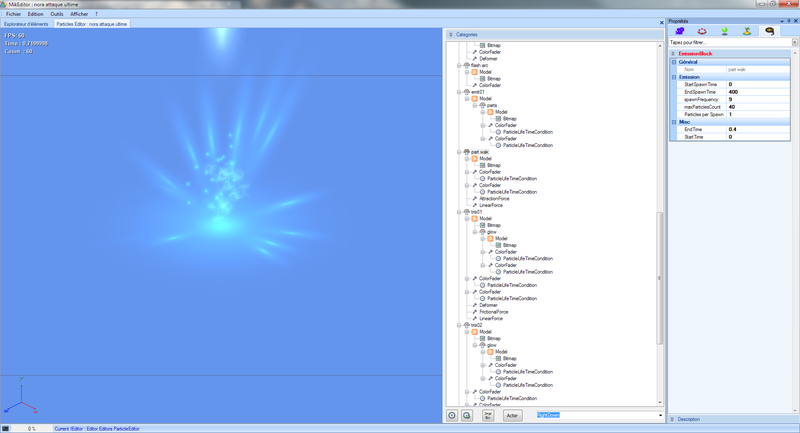 Basically, this is a wysiwyg editor, with a render almost identical to the game. 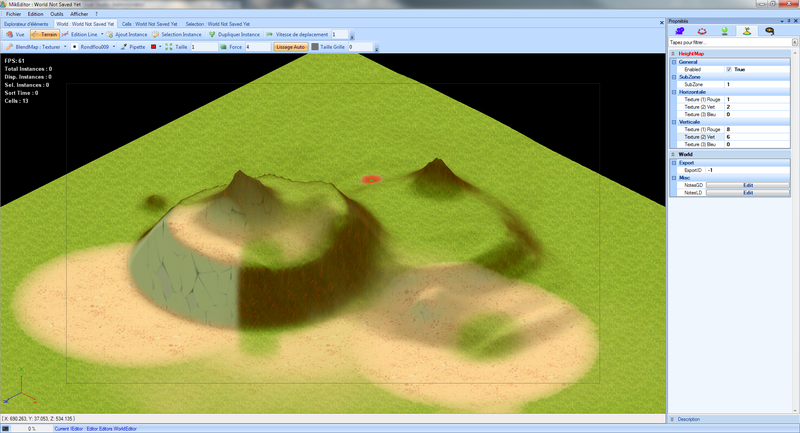 You can edit the heightmap directly by selecting a brush and a tool, working on any layer you might want to modify (Ground relief, textures channels, tint, shadow, transparency). 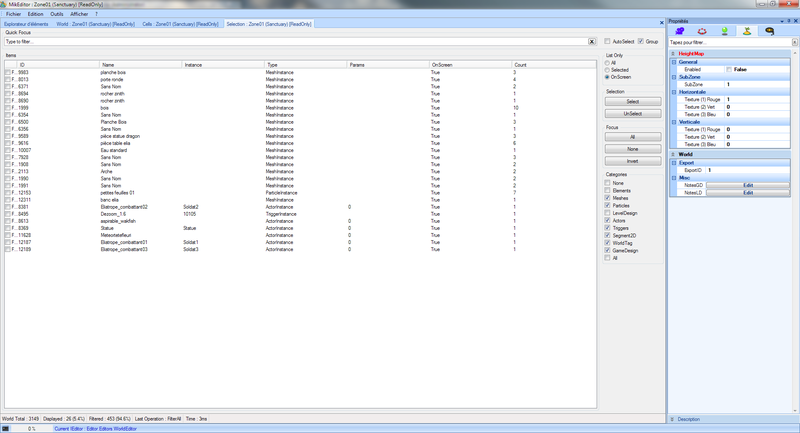 In the same window, you can also put instances of any entities you created in the Entity Management System. 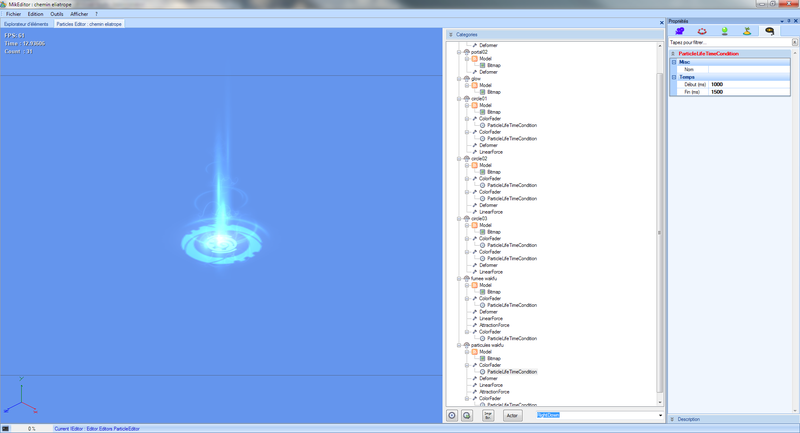 One click, and it’s here. 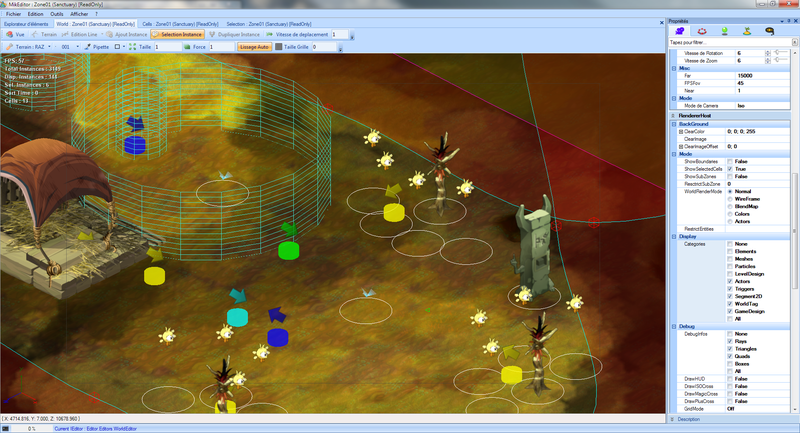 Working in cooperation with Eric Sanchez we integrated a fully click and point “Line editing system”. 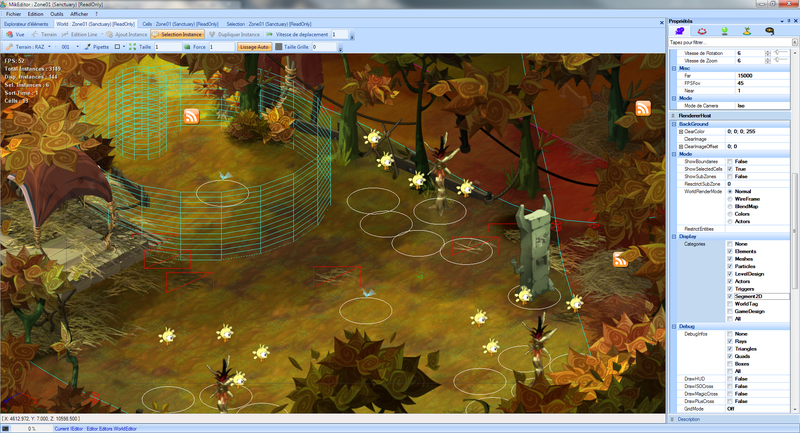 Lines are use to restrict cameras, or players/moving entities, but can also be potentially used as collision primitives or triggers. 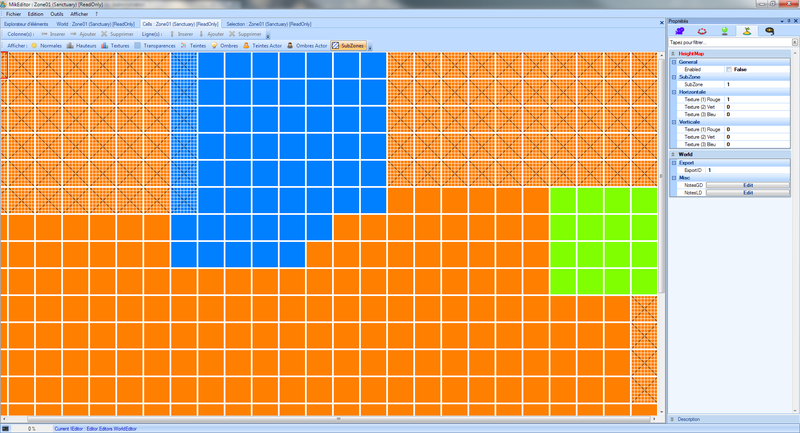 You can also see an advanced sorting system, allowing 2D elements to overlaps themselves. 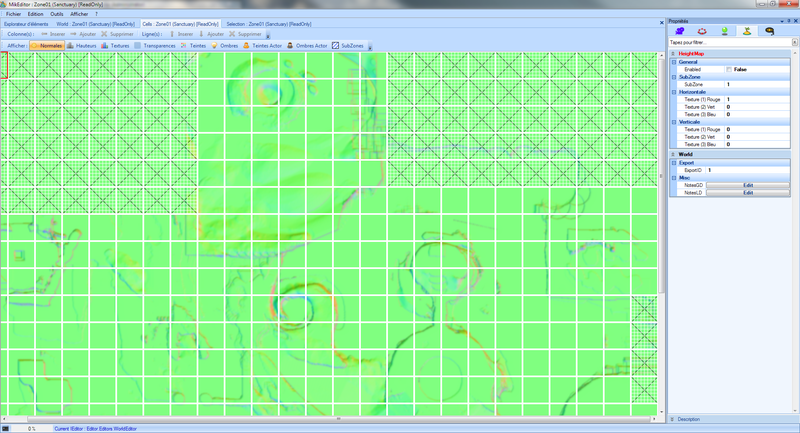 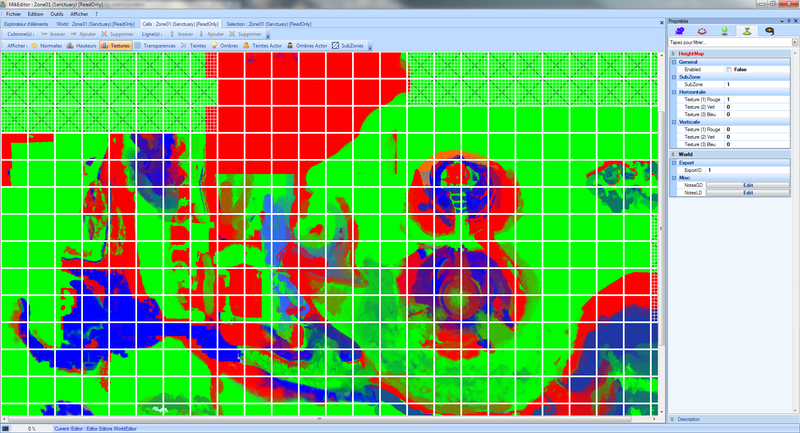 Under is the cell view of the heightmaps, consisting in a top view of the layers. 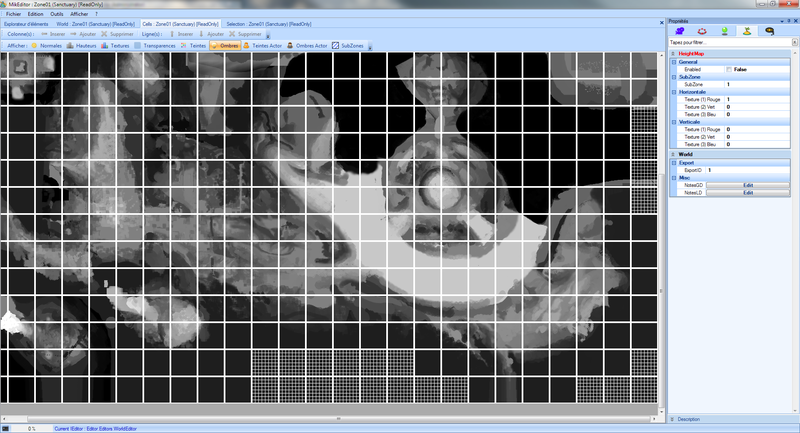 You can see some of the different layers we used (Heights, Normals, Blendmap, Tint, Shadow and Alpha), and at the end, a quick and easy selector for the world instances. 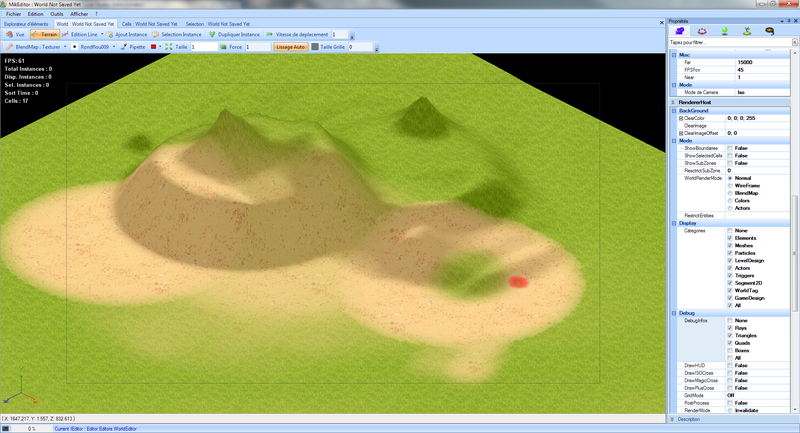 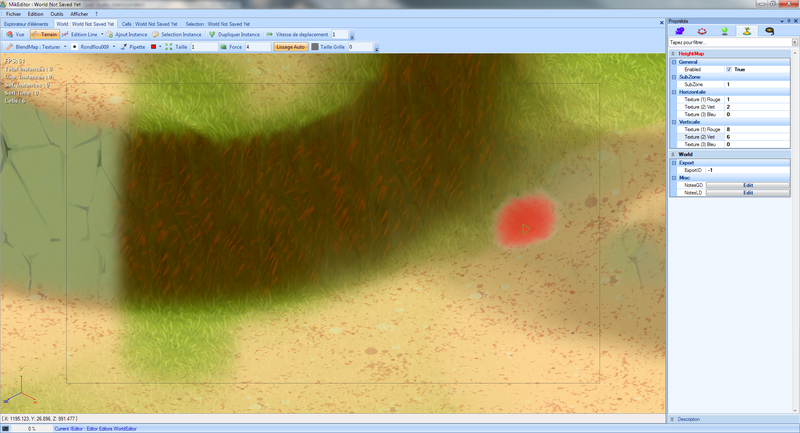 Now the editing view of the World, with the realtime render of all the differents layers. 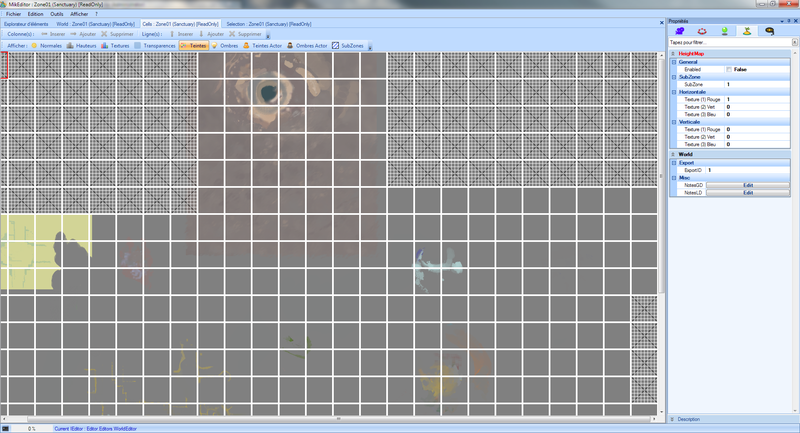 And a sample of the first map of the game. Here is one of the first mystery area of the game, with different views (GameDesign or LevelDesign oriented), you can see the parameters on the right, where every items is being progressively checked. The editor features a dual editing mode, allowing Game Designers / Scripters and Level Designers / Artists to edit the same map simultaneously. 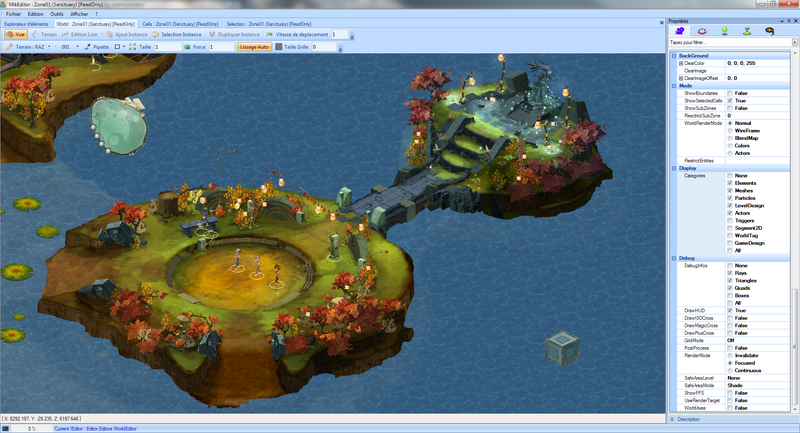 This is the first spawn of the game, where all the adventure starts. A composition of heightmap, sprites and particles is used to render the first image. 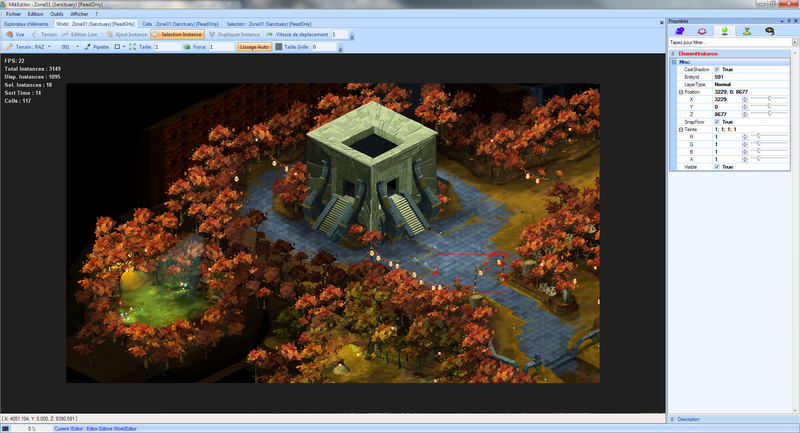 A deep ambiance like this one is only possible with an identical editor-game rendering result, to allow artists to express themselves at their maximum. 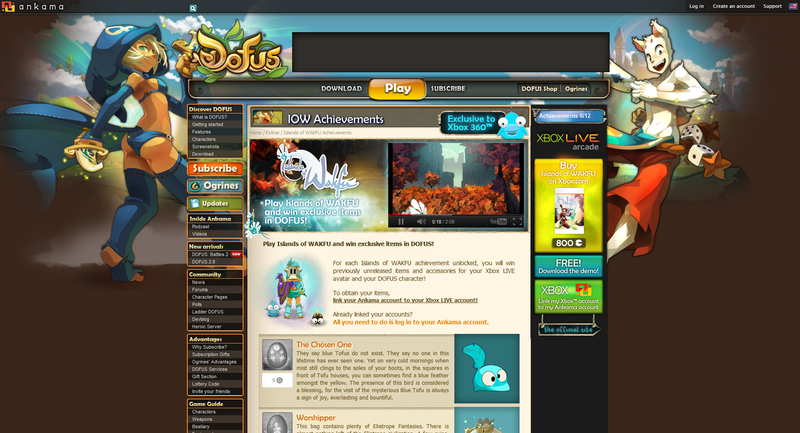 Finally, as the game was released, we offered gifts to the MMO players (on DOFUS and WAKFU Beta) who unlocked xbox achievements. I was responsible for the whole technical part of this project, working closely with the Web departement at Ankama, the MMO Teams, and Microsoft, as this feature was quite unique for a small XBLA game.